Our storms finally arrived and things have cooled off a bit, or as much as they’re gong to with the humidity…. Luckily my fabric arrived yesterday so I can start working on some new tiny person compatible sun dresses. 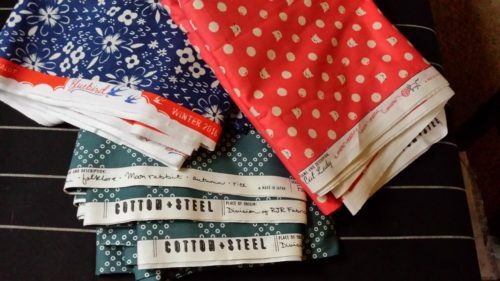 The fabric is from Cotton + Steel and it has awesome pretty selvages. Usually the selvage is boring so these are pretty neat. They’re even three completely different colors which for me is an accomplishment. I’m usually tempted to default to just dark blues since those always work. Of course I forgot I’ll need thread so maybe I’ll visit the JoAnn’s briefly today. Still no luck with rain for us. They said the heat wave would end early if we got a good storm, but no such luck. Still, there should be a change in the weather pattern today which will finally give us our thunderstorm. And after that it will be cooler. I hope so, I’m looking forward to taking little Patrick for walks again (it’s been too hot for him during the heatwave, and going for a walk at 2 AM would be a bit too weird). I also hope to walk down to the farmer’s market Saturday morning. It’d be nice to have a short break and if I get cucumbers I can make fridge pickles. We can only have those in summer (when there are good cucumbers) and they’re amazing so I’d really like to make some. That and cucumber sandwiches since those are also really good. 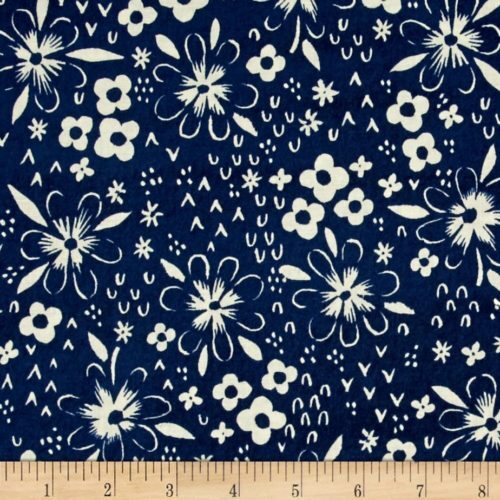 My dress fabric should also arrive tomorrow so I’ll get to start those. I have my pattern pieces already to go, so hopefully the fabric arrives on time! I’m looking forward to those. I still need to pick out buttons, but that’ll be easiest to do when the fabric gets here. I have a bunch in my collection (yay thrift store button hordes!) so I want to see if I have any promising ones in there. Otherwise there’s always JoAnn’s or G-Street. My other sewing project is drafting a new A-line skirt pattern. I found the tutorials I used last time so I just need to do some math and take some measurements. I need front and back pieces with darts (darts are the hard part for drafting…) and a waistband (which is weirdly hard to get to look right). Maybe I’ll try doing that today. Once I’ve got a pattern again I’m going to do a trial version, probably with the surplus trouser fabric I have. I hate sewing trousers and it’s a good color for work clothes. It’d make a good skirt for wearing on Fridays. I’ll just have to make Patrick a new shirt to make up for borrowing some of his trouser fabric. On the upside I’m much better at making shirts than trousers! I also need to go get some lining fabric. The JoAnn’s has Bemberg Rayon lining which is probably what I’ll use. This will be my other independent trip out of the house. Little Patrick isn’t quite ready for the mall yet, but I don’t have to go far so this should be a good way to get out of the house for a little while. In terms of knitting I’m still making slow progress on my hat. But hey, the little bits of progress accumulate over time. There’s something about summer that makes me want to come up with knitting projects (and watch Predator 2 and Yakuza, which are the best heatwave movies). Maybe it’s because the summer edition of the knitting magazine always has awesome patterns, maybe it’s because I can take my projects out on the porch and enjoy nice weather (in the mornings before it gets hot!) or maybe it’s because somehow the AC always makes things feel more arctic than real winter does. I suppose the fact that summer has actual sunshine (unlike winter around here, which is grey, damp and cloudy) makes me want to make lots of awesome plans. I’m thinking about a couple potential projects, a knitting project and some sewing projects. For the knitting, I think I want to try making myself a pair of convertible mittens with gloves inside. I have a nice range of fingerless gloves and a couple pairs of mittens, but I’d like to have a pair for the coldest weather. I would want the inside to have fingers like gloves (though not covering the fingertips) under colorwork convertible mittens. I think that would cover the bases well and still make it easy to extract my train pass. I like the franken mittens pattern on Ravelry, but I’m not super thrilled with the pattern for the colorwork. Maybe I can use the overall mitten pattern and come up with my own colorwork pattern? I also really want to knit a shawl, but I’m only making very slow progress on my hat, so I’m pretty sure sticking to the hat is the better plan (especially since I really want a warm fuzzy hat when it gets cold again!). 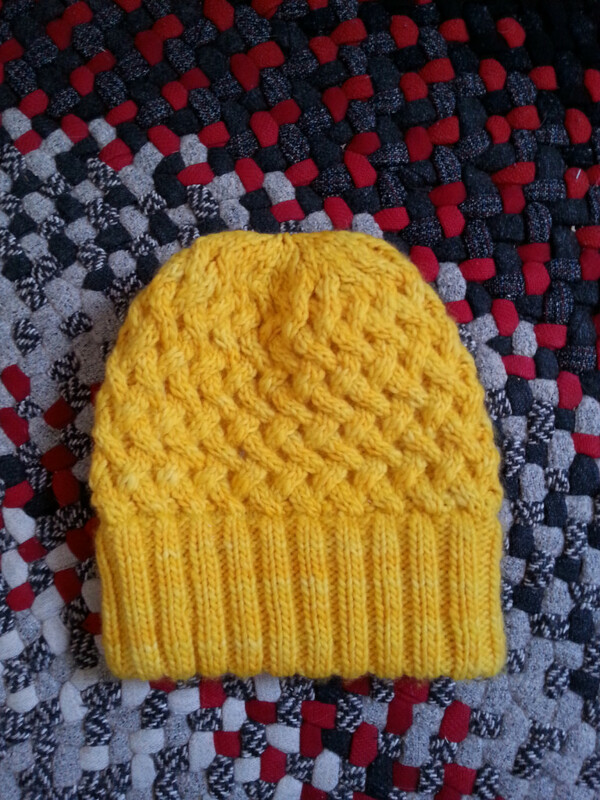 And given my rate of progress by the time I finish the hat it will be cold weather. 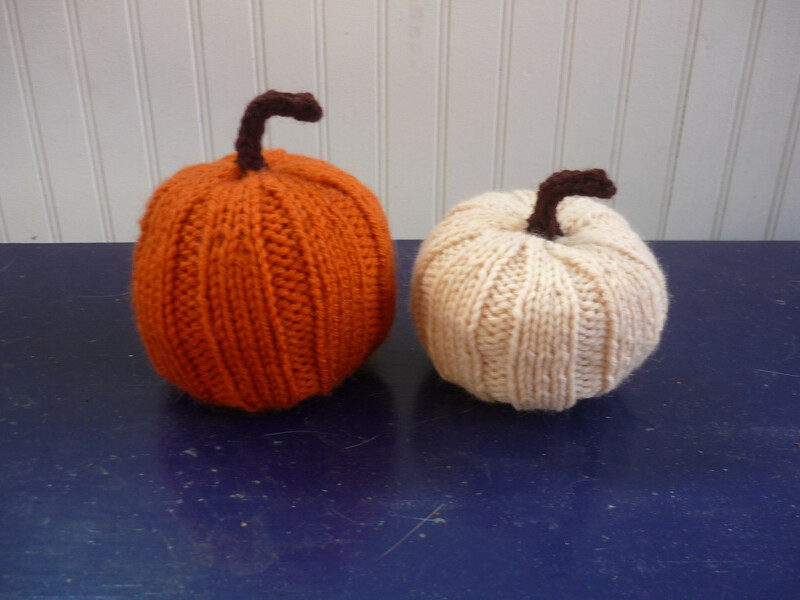 And I’d really like to knit a small hat and some baby mittens for little Patrick before it gets too cold. So maybe I should aim for a hat, convertible mittens and a little hat and baby mittens by the end of the year. I will have time for shawls later. After all they don’t really wear out and they don’t have fit issues so there’s no rush. For sewing I’d like to do those sooner. I want to sew three new Hawthorn dresses. They button up the front so those will work well with needing access for little Patrick, and I’ve sewn them before so they should go together well. I will need to trace new pattern pieces given size changes, but once I’ve done that I can do all three at once assembly-line-style. 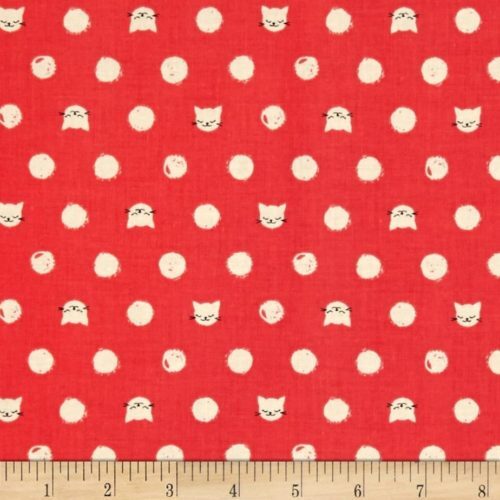 I think they’ll be fun dresses, I have one piece of fabric I picked out, and two Patrick picked out. (I decided to get both since one was on clearance for really cheap, so yay three dresses!) I also plan to alter these to add pockets, with of course, a button hole for the insulin pump. It will be nice to have something pretty to wear that is comfortable and fits well. It’s been difficult needing to buy clothes, I’m looking forward to making my own again. Speaking of clothes, the other thing I need to do is sew myself some skirts for work. At least those are easy to sew. Trying to buy them is egregiously terrible since apparently the only thing people want to buy is pencil skirts or trousers. Lets just say pencil skirts don’t suit my shape (I am not and never have been a square, if they don’t go in at the waist, they fall down, even at this point they need to go in at certain spots to fit). And trousers are ok, and I can find some that fit if I put a lot of time in but they generally look terrible and are really uncomfortable. Also, skirts are much more flexible for DC weather. They’re like wearing shorts in summer and in winter I can wear fuzzy tights and they’re way warmer than pants then. So yeah, buying skirts is a no-go so I need to make some new ones. I have some nice wool I was given as a gift, I just need to get some fabric for the lining and then sew them up. I have a month though to do it. Other than those projects, the garden survives, it’s still making some peppers and tomatoes which is nice. We’ve also got lots of herbs which is very useful. The slow cooker also remains useful, Patrick made awesome pulled pork. It’s really nice producing a lot of food that can easily be turned into lunches or dinners when we need them during the week. It’s also nice for the budget. So my projects are making progress in various ways. I’ve made progress on my knitting, the garden (luckily!) is making progress with little intervention and I’ve gotten to try some new cooking adventures out too. Ta Da! Actual knitting progress! Knitting (while not very fast) has been very useful with my new sleep schedule. It’s a lot harder to space out and start to fall asleep if your hands are busy. And since I’m into the cable pattern now, it’s really obvious if I’m not focused enough! I want to start my Beatnik sweater too, but I think I’m going to stick to finishing my hat first. For one, this gives me the chance to get used to knitting again after a few months off; and for another I want my hat back! I don’t really need a fuzzy hat in July, but if I don’t stick with it, I won’t have one when it starts to get cold again so there are good reasons for sticking with it. Speaking of hats, maybe I should make a hat as a Christmas present for my brother-in-law this year. He likes to critique the hat I made him a few years ago…which in my defense was an early knitting project…giving him a newer fancier one would require him to up his game in terms of critiques, which would be fun. We’ll see though since I don’t think I’ll be doing any projects quickly this year. If not this year, maybe next year. Things are actually looking pretty good in the garden. There’s plenty of lettuce and radishes out there and there’s a bunch of beans that should get picked. Also, the mystery squash hasn’t been killed off yet by squash vine borers! It even looks like we’re going to get tomatoes this year and the peppers have recovered pretty well from the insanely cold/wet May we had. I haven’t checked the cucumbers recently, but they were alive and trying to make cucumbers last time I looked, so I consider that doing well. The potatoes look a little sad, but that’s because they’d like to be watered more, and well, there’s a lot to do right now. Still, all things considered I think it’s doing petty well. And since the goal was “whatever we get, if anything, is awesome” I consider things a success so far! 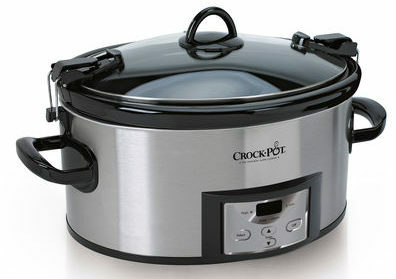 The new cooking adventure is our shiny new crock pot. Our old crock pot which was an older one from family no longer maintains high enough temperatures (which is a problem!) so it was time to get a new one. After a lot of research we picked this one since it’s bigger (6 qts!) it’s oval (yay meat cooking!) and it’s programmable (not burning the house down!). As for why we’re interested, the hope is that with the crock pot we can prepare a meal early in the day when we have a little more time and then there’s no rushing around in the evening when we’re tired and trying to get things done so we can get as much sleep as possible. The other idea is making a nice big meal that produces lots of useful leftovers and doesn’t generate a lot of dirty dishes to deal with. And since the lid and stoneware insert go in the dishwasher… there are some definite benefits. So last night was it’s maiden voyage/cooking attempt. 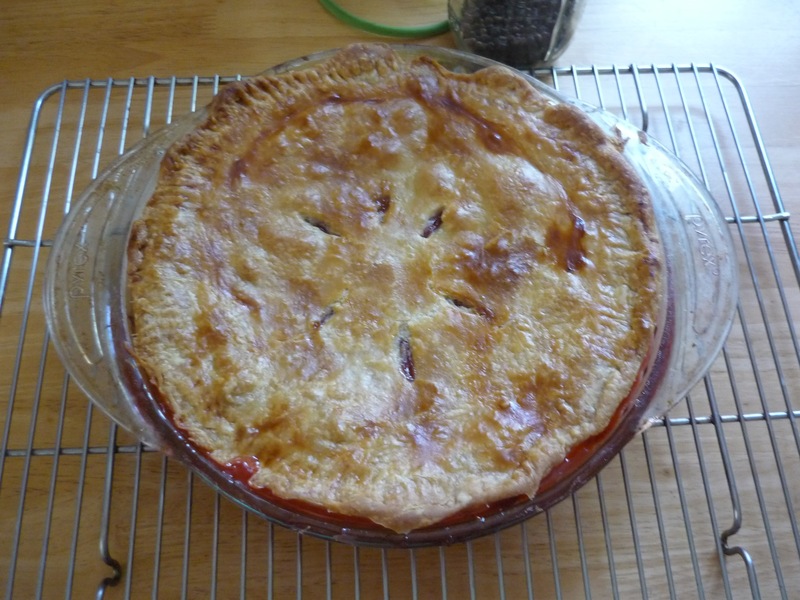 I think it did well, everything fit in there, it cooked it well, the timer worked, it was easy to clean, etc. Our first attempt was a nice simple pot roast (I was tempted to do the fancy recipe, but since this was our first try with this crock pot and since things are busy I went with the straightforward one). I think next week I’ll try the beef and dumplings recipe I have. So, all in all, that’s a nice bit of progress on my projects I think! My list of planned crafts is probably going to be shorter than last year. After all, I’m starting half way through the year! So this makes sense. Also, given that we’re probably going to be moving at some point in the next year the smart choice for craft projects is going to be to use up what I have already in terms of materials. I may make a few exceptions to that, certain changes to my physique mean I have no sun dresses that fit right now so enough fabric to make two dresses might need to be purchased unless I find some in the bins somewhere, but for the most part I’m going to do my best to stick to what I’ve got since I’d rather move completed projects than move lots of stashed supplies. Almost all of my supplies are stored in plastic bins from Costco (so they all match, hurray!) with most of it being fabric, but there’s also yarn too. For the most part my craft plans fall into two categories, knitting and sewing. Knitting is easy, I have a couple of bins of yarn right now (I think 2.5 bins?) and the highest volume yarn is the yarn I got for sweaters. So the best thing to do is probably going to be to work on knitting sweaters. 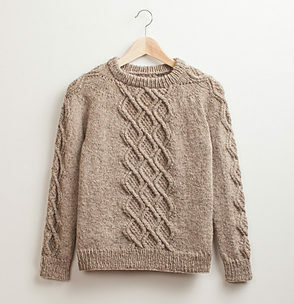 The first project I want to make is the Beatnik sweater. I got the same yarn used in the pattern (same as the above picture) and I actually started knitting this several years ago. Unfortunately it was my first time knitting a sweater in a really long time and my first time ever trying to knit something with a chart. Needless to say this was a bad idea. So I’ve ripped out my first attempt, and now is probably a good time to try again. Also it’s a mostly cotton yarn so that will be nicer to work with during summer. 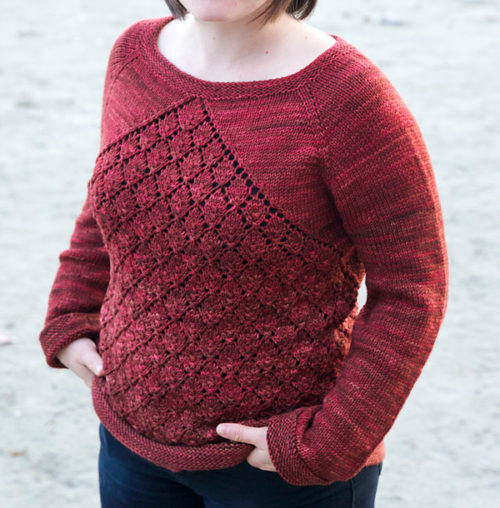 And since I’ve already got the pattern and yarn, it’s a no cost project, yay! 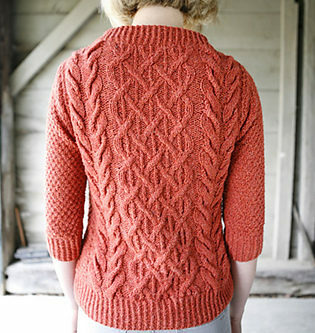 The second project I want to do is the Rook sweater. This is another one I’ve tried knitting before. I want to use some Wool of the Andes Tweed I have in a really dark grey with light grey and white flecks. Last time I tried I could not get gauge no matter what I did. It always seems to me that I can only get gauge to match vertically or horizontally, but not both. If I can’t get it to work this time I think I’ll try to calculate any changes to the pattern I might need and try to use my yarn anyway. Luckily despite the challenges, I already have the yarn and pattern, so this one won’t cost anything either. 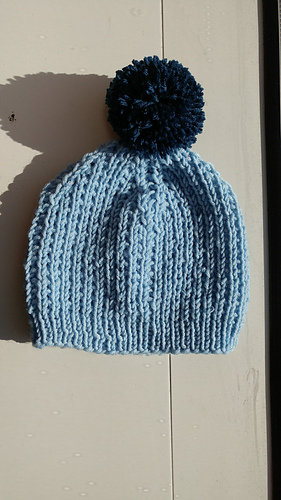 The purpose of this one is to use up the light blue Wool of the Andes yarn I have. I’ve considered several possible patterns for this one, but its hard to figure out what would be best. I really like sweaters, but a cardigan is probably more useful at the moment. There’s also the dilemma of using a pattern I already own vs finding the perfect one. A sweater/cardigan takes a long time to make so finding a perfect pattern is a good idea, but at the same time I have a bunch of patterns (free, from my magazine subscription, from books, etc.) and actually using the ones I’ve got makes me happy. Currently I’m leaning towards Prairie Fire, but doing another Peabody sweater, a MacGowan or a Jean sweater or a Two Trees cardigan also sound like decent ideas. A Prairie Fire or Peabody sweater would probably work best with the color though. These are projects I’ve already started, one pair of socks for me, one pair as a Christmas present for Grandpa Patrick and a replacement yellow hat (replacing the one that was lost sometime in January). They’re smaller projects so I figure I’ll probably work on these when I’m on the train. Then there’s sewing, which is harder… Some stuff is obvious, since the goal is to use up some of my fabric stockpile before we move. I have 1 pair of pants cut out for Patrick and fabric for at least 3 more. If only sewing pants wasn’t annoying (welt pockets are pretty much the worst, even if I get them right the darn things start to fray right away). I also need to alter my summer dresses, which won’t use up much fabric, just some small pieces to make gussets, but it will mean having dresses I can wear this summer (and boy am I ever glad I like shirt dresses, since they’re the only ones that are ‘functional’ at the moment). The other stuff I have a lot of is small pieces of patterned cotton fabric and shirting. The shirting is easy, more shirts for me and Patrick (yay shirts!). Luckily unlike pants, sewing shirts is awesome. 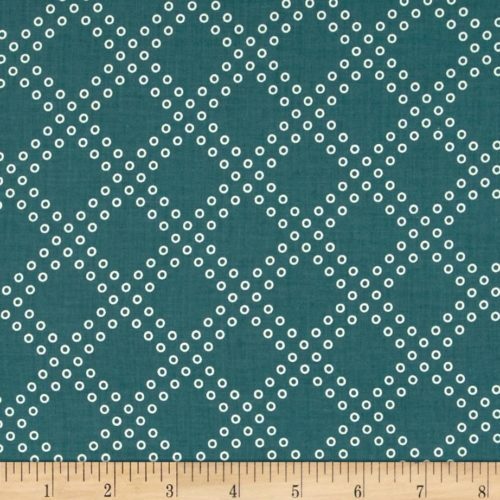 The patterned fabric is best suited for household crafts and things for little Patrick. Luckily making things for little Patrick should be fun (and useful!) and household crafts (ie potholders, pillow covers, etc) are usually fun and relaxing. I have patterns for rompers, onsies, overalls, shirts and pants for little Patrick, so I’ll probably try out some of those. I think I’ll probably be making some adjustments to the patterns. For example, why in the world would you put the snaps in the back for a romper? When you lay the baby down to change them they’re laying on the snaps! So yeah, some changes will be needed. Oh, and I’ll be making myself some work clothes too. Definitely skirts since I think I’m probably going to need to adjust my sizing there, at least for a little while longer (luckily this is a simple self drafted A-line skirt pattern, so that’s easy enough to adjust). I have some very nice wool I received as a gift so I’ll make some for that fabric. And I have some other bottom weight fabric of various kinds that I can pick out one or two types to make the first versions of the updated pattern (never test a new/adjusted pattern on beautiful wool fabric!). I might make some shirts for work too, it depends on how well those do or don’t fit in a couple months. Depending on what fabric I have I’d also like to make both me and Patrick some casual shirts too. We’ll see. For Patrick (little and regular sized) I’m going to use up some of my knit fabric to make T-shirts and things. Those go quickly and are useful. I really wish there was more good quality knit fabric though. Maybe I’ll try some from Nancy’s Notions. So far JoAnn’s has been pretty terrible for knit fabric and Fabric.com has been a mix. But those have to wait until later. There are of course many other things I’d like to do. I want to improve in terms of physical fitness and bike more. I want to finish fixing up the knitting machine and get better at using it. I want to write again and make my own knitting patterns. I want to go to museums and places downtown with Patrick and take little Patrick on walks to the park. I want to get farther with relearning to play the piano… There are lots of things to do that should be fun. Well, it’s been awhile, largely because I had another big project that didn’t leave much time for my usual smaller projects… But the start of summer is a good time to start working on my regular projects again. And even if it’s a little late it’s not a bad time to work on figuring out what kinds of projects I want to do this year. 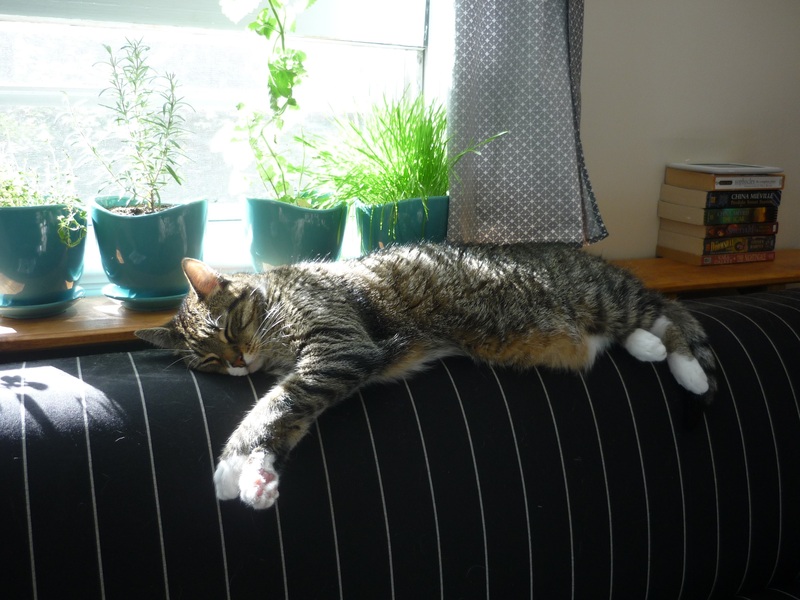 I have a couple categories of projects I want to work on: the garden, food preservation, knitting and sewing. I also have a minor side project for physical fitness since I want to improve how far I can bike (makes it easier to get to some of those slightly too distant craft stores…). Patrick got everything started this year so we have a garden! 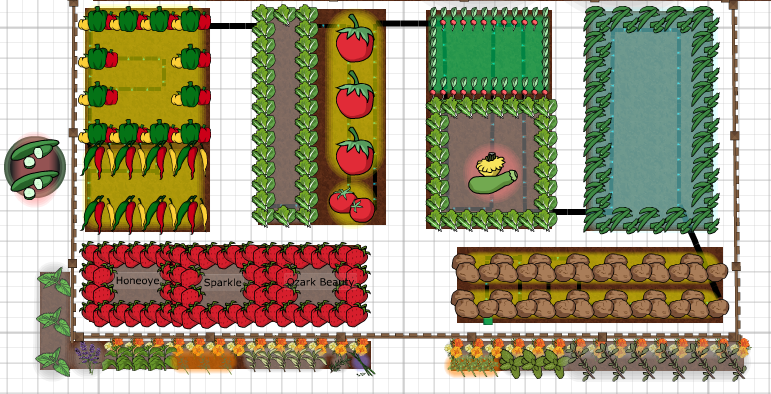 Like the map shows, the goal this year was to come up with a garden plan that would be easy to maintain since we’re going to be busy. Overall I think it’s been successful so far (the squash is a bonus from the compost we added to the garden). It looks like we might even get tomatoes from the garden this year! I have hopes anyway… No matter what I think I’m going to consider anything we get out of the garden to be a nice bonus. I have hopes for at least some beans and some good salads at least though. And if our peppers survive the nasty experience that was May’s weather (it rained at least 19 days in May!) hopefully we’ll get some nice peppers too. If we have happy tomato plants I’m hoping to be able to can some small batches of tomatoes too. I’m going to see if that’s a nice easy option. I got a stand alone canner that doesn’t need to go on the stove, so I’m hoping doing small batches will be reasonable. I’m also hoping that this garden will keep producing as is from now through frost. The tricky parts will be getting the lettuce to produce in July and August and getting the beans to produce in September and October. It’s worth a shot though. And when the potatoes are done that row can be either more beans or more lettuce in theory. 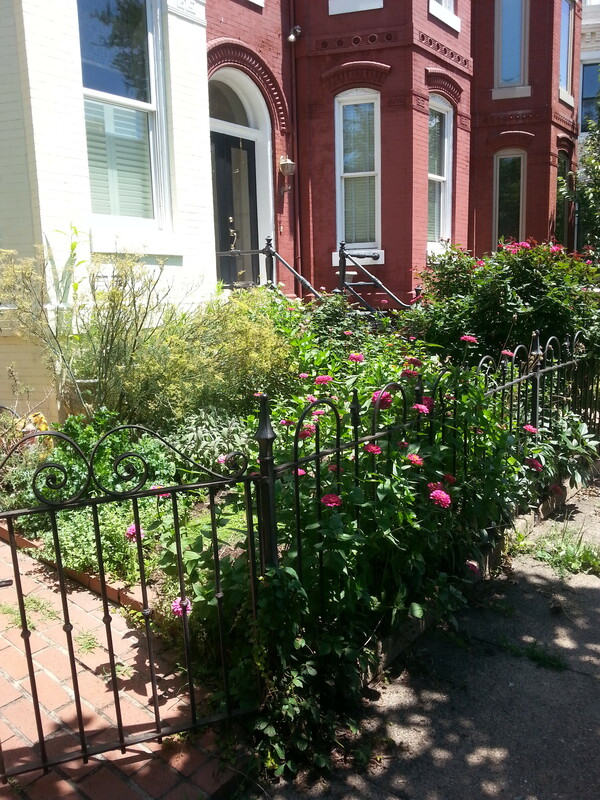 The front flower bed is a mix of flowers, and it’s kind of weedy. Luckily I got enough volunteers that it looks nice (mostly Jonny Jump Ups and Love in the Mist). I also got 3 volunteer tomatoes growing in the half barrel in the middle. I was hoping that would be full of Dahlias and petunias, so I need to decide if I’m going to leave the tomatoes, pull them up or replant them. Technically replanting them would be the best choice, but that would also take a lot of work and at least a decent chunk of time. I think for the moment they’re staying where they are and hopefully they won’t get too out of control. Raspberry Jam – If I can find raspberries that is. I love raspberry jam but buying raspberries in a reasonable volume is tough and I can’t really grow my own until we have our house. Maybe I’ll just buy some packs at the Costco this summer. The prices aren’t amazing but making my own jam is still cheaper than buying it (at least cheaper than buying it if I want decent jam). Peach Jam – These I can get at the farmer’s market, and I think little Patrick is almost big enough I can escape for an hour or so to pick some up. And if not, the grocery store will definitely have enough peaches that I can make these from grocery peaches if I need to. And I found my grandma’s recipe so the spices will be right this year! 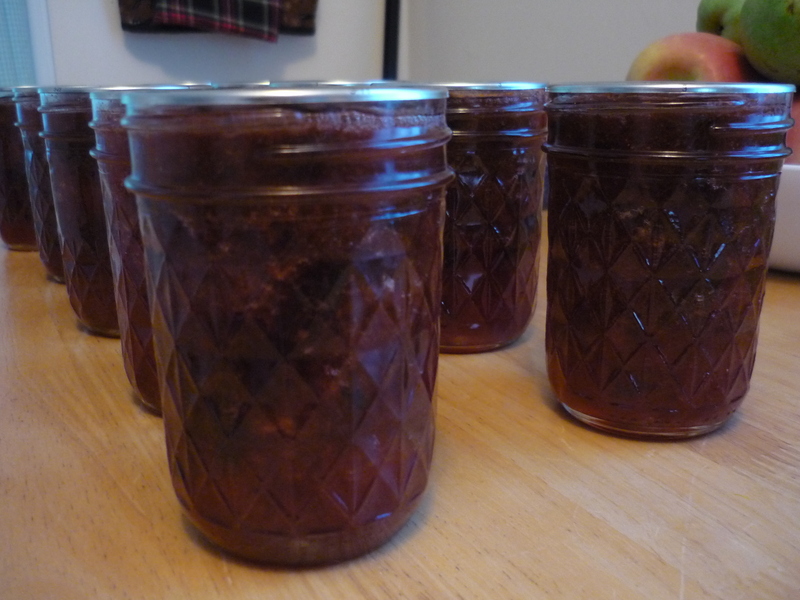 Plum Jam – If we get some plums from Patrick’s dad in Erie I’m definitely making this again, it turned out awesome last year. If we don’t get plums from Patrick’s dad (for the same reasons as before) I think I can get plums from the grocery store or Costco. They have some plums at the farmer’s market, but the prices aren’t great. Tomatoes – I’m hoping our garden comes through for these so I can make a bunch of small batches of tomatoes (I like quart jars of whole tomatoes since they’re perfect for spaghetti (after a trip through the blender) or Eat More or a bunch of other things. Technically a big batch from bulk tomatoes from the farmer’s market is probably the most effective in terms of time and the prices are very reasonable, but I think it’s much more likely I’ll manage small chunks of time for small batches than it is that I’ll manage a big chunk of time. And hey anything that comes our of the garden will have a really great price! Salsa – Last years salsa recipe turned out pretty good. This year I’d like to make individual jars (and just put them in the fridge) of a couple types to try them out, as well as can the type I made last year. Pint jars worked pretty well overall. Hot peppers – Canned jalapenos were great, canned wax peppers were ok. So the plan is to make jalapenos if I can at all manage it. They were really easy to do so if I can do even a couple jars at a time it’s worth it. These are mostly dependent on what I can get out of the garden, but maybe if I watch for a sale at the store, it would be worth doing some from grocery peppers? Pickles – My grandma’s fridge pickle recipe remains awesome. My canned pickles were incredibly salty. Like insanely salty. So I’m going to try something else this year if I can pickles. I’m probably also not going to bother trying to get pickle cucumbers. There’s only one farmer’s market that had them, they were expensive, and I’m still not very good at growing my own. And research on the Internet suggests that if I use Ball’s PickleCrisp I can get away with regular cucumbers which are cheap and available anywhere. Hopefully I can get down to the farmer’s market for these since the grocery store tends to have gross ones that are covered in epic amounts of wax. Zucchini – At least for the moment I’ve given up on growing zucchini (curse you squash vine borers!) but luckily the farmer’s market has lots of cheap zucchini and I can freeze as much of it as I want. I usually grate them up and freeze 1 cup portions in sandwich bags that way they’re ready to go in zucchini bread if I want, and otherwise they can go in pasta sauce. Grated zucchini is a great way to fill out a pasta sauce and make it more substantial, with an added flavor and vitamin bonus. Peppers – Hopefully the endless rain and cold in May won’t prevent us from getting peppers this year. The last few years we’ve been really good at it. This year we planted a lot more green peppers, so hopefully we’ll manage a full year’s supply. I’d like to try freezing some as half peppers this year so we can make stuffed peppers this winter. Hot peppers – This year we planted fewer hot peppers since we still have a lot of these from last year (which is impressive given how many hot peppers we go through…). Hopefully we’ll manage a decent year’s supply of jalapenos this year. We stuck with jalapenos since we haven’t used the wax peppers fast enough and we always end up with way more habaneros than we need. Pesto – I like to grow basil and freeze my own pesto. Patrick banned the basil this year since sometimes it’s a hassle, so we’ll see if I manage this. It’ll depend on whether or not I can find a reasonable source of basil. Maybe the farmer’s market? The grocery store isn’t too reliable for basil. We may actually get a rainy day today! 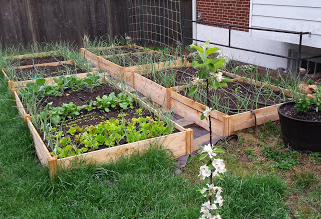 Well, so far it’s pretty dry, just a few sprinkles, but the weather has promised us rain… I made sure to water the garden this morning to encourage it! It’s been about two months since we’ve had any real rain, so it would be really nice if it managed it. I’ve got a bunch of fall veggies in the garden now (broccoli, cabbage, kale, turnips) and they would enjoy some more rain. It’s funny, you’d think the harvesting part of gardening would be the easy fun part, but it can also be a challenge. 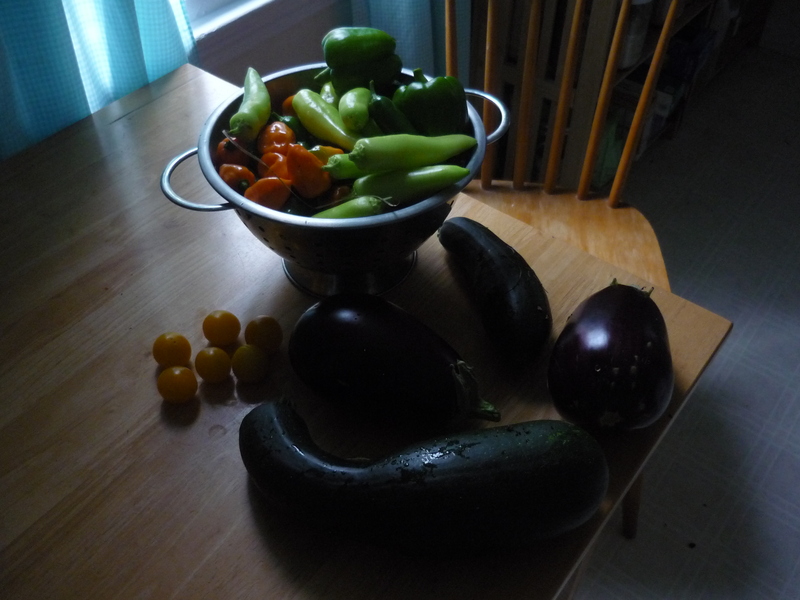 I’ve picked the peppers, eggplants and zucchini, but it’s tough. Sadly that’s it for this year’s zucchini, it will be replaced by lettuce and carrots. Overall though gardening has gone pretty well this year. Next year I’m going to actually manage some squash though! 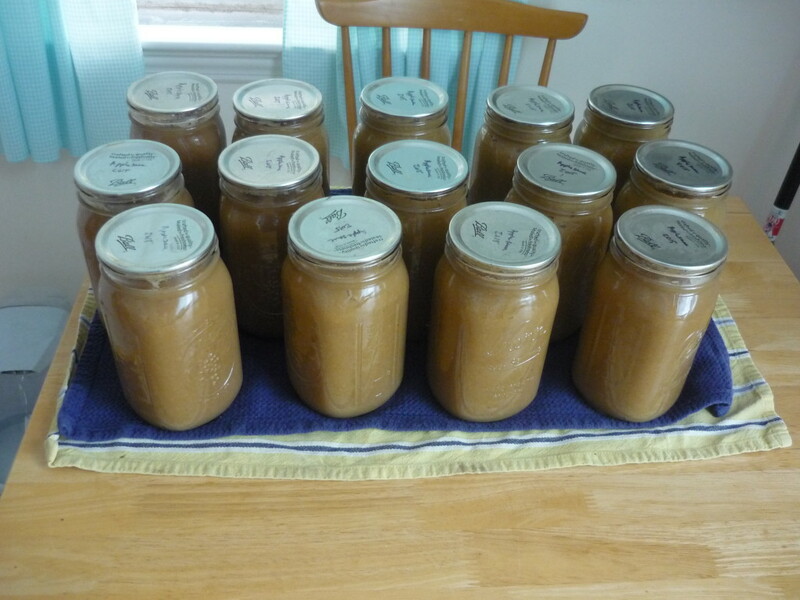 We got plums and apples from my father-in-law’s trees when we went up to visit him, so there is now lots of applesauce (15 quarts) and lots of plum jam (9 half-pints). I’m really happy to have some more fruit stored for this winter! It also makes me really look forward to when we have fruit trees of our own since the fruit we brought back was only a tiny part of what the trees were producing. Someday! (I have plans for two apple trees, a pear tree, a peach tree and a cherry tree, maybe plums or figs if I get ambitious). We also canned a whole bunch of pickled hot peppers (10 pints of jalapenos and wax peppers) too. It’s awesome to go down and see our awesome stockpile in the basement. 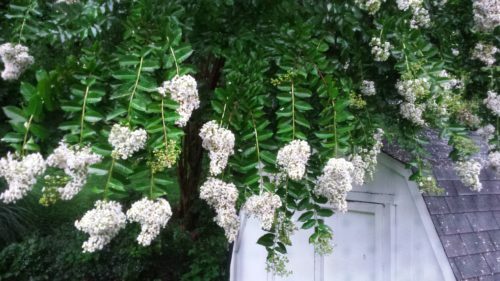 It really brings home how effective the garden can be. We’ve got a lot of food in the basement now, and if we’re smart in planning our meals it will have a pretty awesome influence on the grocery budget. I could do a lot of math to try and figure out my exact return on investment, but for me, my gardening spending comes out of money I’ve allocated for personal stuff/hobbies, so the vegetables are effectively ‘free’. For those who wonder what the actual cost would be and whether gardening is secretly super expensive it’s about $5 for a ‘market pack’of 6 plants at the local nursery or about $5 annually to grow about 10 plants from seed (assuming you have the equipment, buy nice pre-made potting soil and buy nice seeds). At that point (assuming your garden is made up) just put the plants in the ground and you’re set. There are some start up costs for gardening, but you can get good results with pretty minimal annual costs. 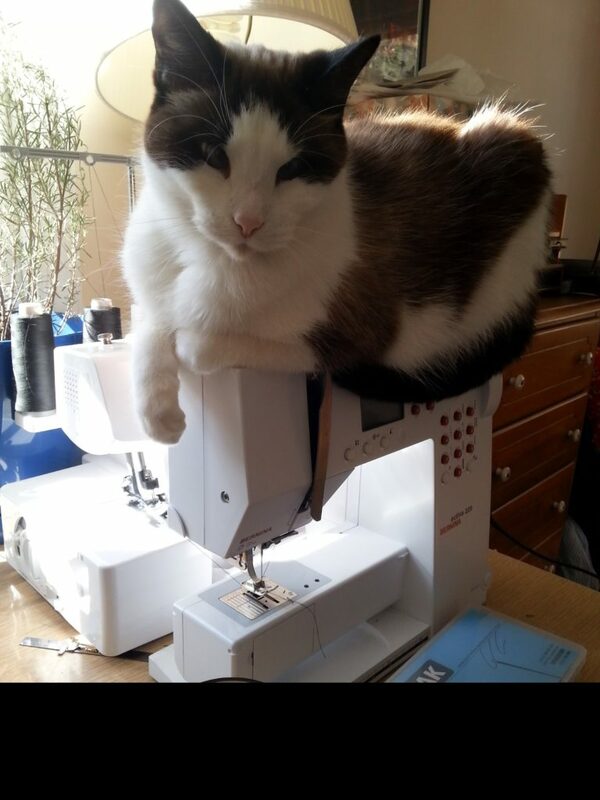 Of course there is a steep learning curve like sewing. And making mistakes means losing plants and starting over or trying something else, but this year I feel like I’m finally starting to get it. Also even in a bad year, your plants generally still produce a little (even my poor squash…*sigh*) and that return is enough to offset the minimal annual costs. And when you win? You have at minimum a year’s supply of that food, which is amazing and awesome. Of course you’re paying for that with time, but at least for me gardening is something I enjoy, so it’s worthwhile. Like sewing and knitting! Speaking of which, I have sewing and knitting projects to work on too. Since the season has definitely started to change I’m sewing some new clothes for work (some shirts for me and Patrick and a new skirt too) and I made some fall decorations for fun. I’m also knitting a new winter sweater. Having unpacked my fall/winter clothes, I’ve been doing really well and knitting sweaters and cardigans. It’s nice to know this winter will be warm! August is an odd month (and a busy one). It’s still definitely summer, but you can start to see the first tiny signs of fall. We’ve got hot humid weather in the 90s, but some of the trees are starting to show the first yellow leaves and it’s time to plant the fall garden. It’s also time for some big canning projects. Peaches are available starting in July, but they don’t separate from the pits until August and we got lots of cucumbers and tomatoes too for pickles, salsa and whole tomatoes. 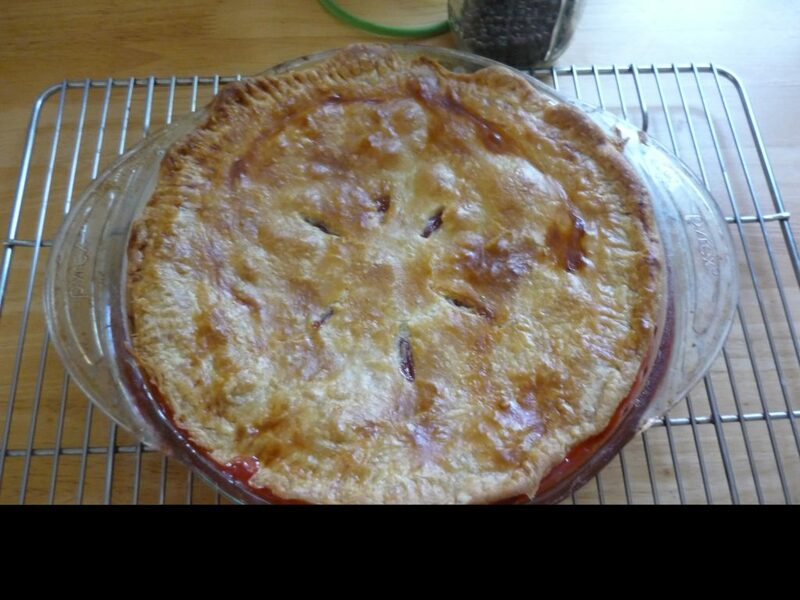 That just leaves apple sauce, apple butter, raspberry jam and pears for September (and marmalade for winter). 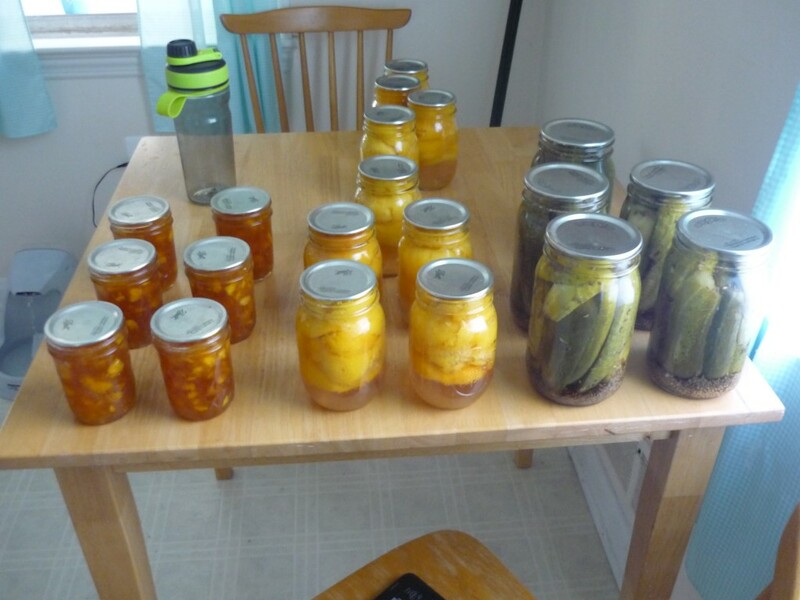 So far the canning projects have gone well. The salsa in particular worked out really well (yay for the ‘Zesty Salsa’ recipe from Ball!). It’ll be interesting to see how long these last/how fast we eat them. The goal is to eventually keep about a year’s supply so that’s the other half of this experiment. We’ve got about 8 pints of salsa, 18 quarts of tomatoes, 6 quarts of pickles and 9 pints of peaches. July has gone by crazy fast. There was getting back from vacation, working on the garden, work projects and all sorts of things going on. And of course various projects and craft things and goals to be achieved! July is also a planning month for me. It’s when I start to think about what I want to get or make friends and family for Christmas. 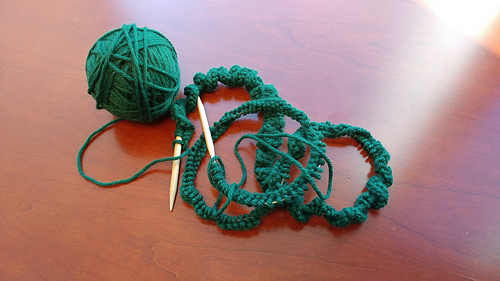 It may seem a little weird to start so early, but some craft projects take a long time. And it’s much nicer to be able to do them a little at a time rather than a rush at the end. It’s never good to end up frustrated and sick of presents when you want to feel happy about giving them to people you care about. I have several different gifts I’m planning to make this year. My father-in-law has requested more wool socks, like the pair I made him two years ago. Or as he put it, “who gets only one pair of socks?” So my goals is to make at least two, hopefully three more pairs of socks this year. I have about one and a half socks (out of a potential six) done already, so that’s off to a good start. And this is worthwhile, it’s nice to make things for people who enjoy them. He’s also told me that the pair I already made are the warmest and most comfortable socks he’s ever had, so more of them should make for a good gift. The biggest holiday project for this year is another quilt. I’ve made four quilts so far, so at least I know what I’m getting into! The pattern I’m going with is a flexible one, and I’m able to take advantage of some pre-cuts for part of it, so hopefully it will go well. By which I mean I will be able to finish it in a sane amount of time! I’m really happy with the fabric I found. I picked bright colors with themes that remind me of the person the quilt is for. It looks like I’ll also have some extra to make something fun. Maybe I’ll make a pillow cover to go with? We’ll see. I have the first round of pieces cut out, so next is to sew them together into strips, and then cut those strips into other strips and sew them together again to make blocks, and then sew those together again. And then of course make and add the border, make the backing and then assemble it and hand sew the edging to the back. I’m going to tie the quilt the old fashioned way. Or at least the way I was taught to make quilts. 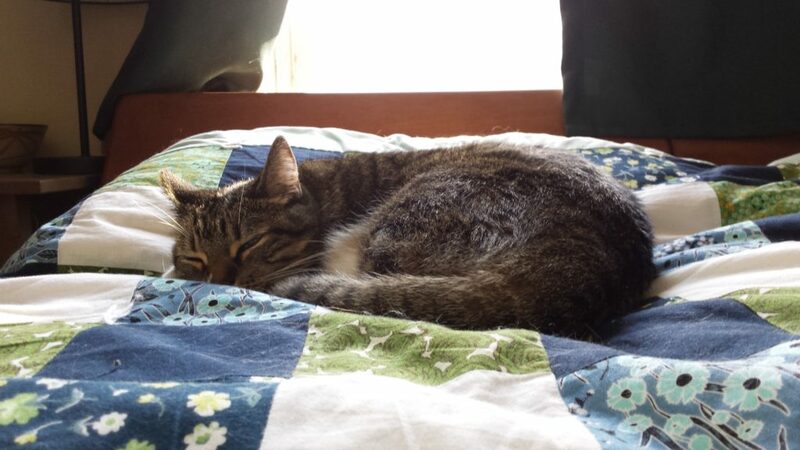 I think tying the quilt rather than ‘quilting’ it makes for a fluffier quilt which in my opinion is the best sort of quilt. And I got some nice wool batting from Nancy’s Notions so fluffy is the way to go! Quilts are funny things. They’re amazing once they’re finished, and working on them can be relaxing (there’s a sort of zen state when you’re tying a quilt or sewing together endless squares) but they’re probably the most challenging craft project I’ve worked on. They take a lot of materials that have to be matched for fabric content, quality, weight and color (as much as possible). The cutting and assembly portions take a high level of precision. And unlike knitting you have to be paying attention while wielding a sewing machine or very very sharp rotary cutter. And then there’s the fact that when you assemble it, there’s the need to move all the living room furniture to get a space just barely big enough, so assembly and tying the quilt had better be done fast. Still, despite the challenges, making a quilt is a lot of fun, and with any luck you end up with something warm and awesome that can last for years. So as presents go, quilts are up there on the list of things I like to be able to give. For the non-holiday projects it will be a mix of sewing, knitting, gardening and preserving (like usual). For sewing, I’m still determined to make myself some sleeveless button down shirts this summer. Since we’re in the hottest part of summer I should get on that… I have the fabric and everything ready to go after all. And there are plans for shirts for Patrick. Again the fabric is out and waiting, so I just need to get started. I also have some pretty fall fabric to make a new pillow cover (awesome though my Halloween cats are, it’s a little weird to start using them in September…). And in other required sewing there are two work shirts and a skirt waiting for me. And in fun sewing I’m hoping to make a wool Anna dress for wearing this winter. I think the Anna dress is probably my go to pattern now. It’s pretty, comfortable, and is very easy to add pockets to (yay insulin pump storage!). I’ll probably need to line a wool dress which is a consideration…but the pattern itself is pretty straightforward so I should be able to manage this. And I have two pieces of nice wool fabric waiting to be used. Oh, and I need to make my second pair of winter PJs. For those I’ll need to track down some fabric though. Knitting is less decided. I have the Christmas socks, which will be my commuter pattern for the foreseeable future. But I just finished my holiday cardigan, so I need to decide if a shawl or a sweater is up next. On the one hand, a shawl is easier to knit in summer since it’s not bulky (hot humid summers around here…) on the other hand, sweaters have lots of stockinette which is relaxing and I have several sweaters worth of yarn that needs to get used up. We’ll see. It’ll probably be either a grey tweed Rook sweater or a very dark navy lace shawl. And then there’s gardening/preserving. We’re headed into the end of July, which is always when my gardening challenges show up. I’ve decided though that as long as my garden gives my enough for fresh eating I’m not going to get worked up about it. I’ve had the usual squash casualties (some from vine borers, some from what seems like some sort of squash disease). But my back up zucchini’s are just getting going and look healthy and I’m probably going to get at least some winter squash. Maybe I’ll pull the rest and plant some more beans or something over there this weekend. My tomatoes are making tomatoes, but the slicers just can’t overcome the tree shade (I didn’t realize that corner got as much shade as it does). So far I’m getting enough for fresh eating though, so we’ll see how it goes. And there’s always the farmer’s market if they fail, and the pick your own place for canning. I do have some canning I want to do yet this year though, and some more dehydrating too. Oh, and one more fun garden thing. We aren’t the only ones who have been enjoying the garden (see below). The cats are also super pleased about our visitors. 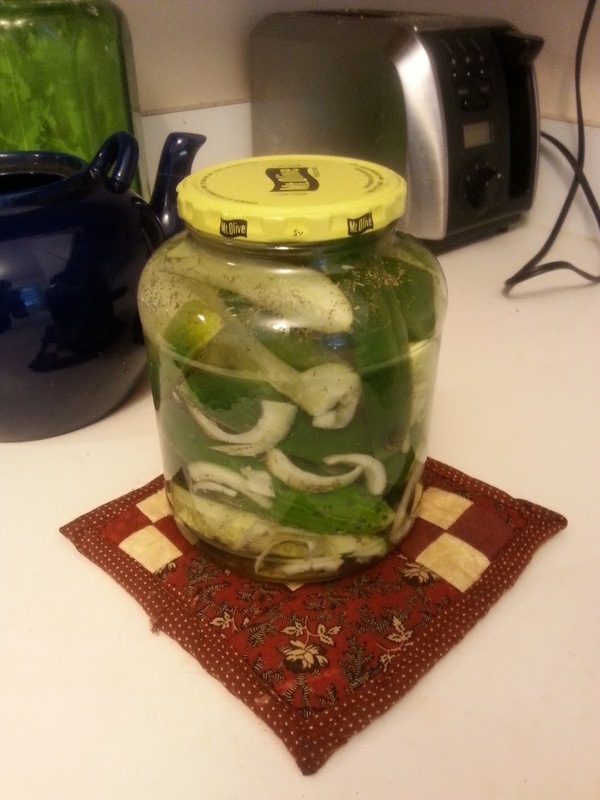 July 10, 2015 / Louise / Comments Off on Pickle Season! We now have our first batch of pickles! These are fridge pickles using my Grandma’s recipe. They’re some of the best, and they usually last about 3 months in the fridge (if we don’t eat them all before then). This time I made them with one pickle from our garden and some others from the farmer’s market. I had one really early cucumber, so I needed to supplement from the farmer’s market…. They’ll be ready to eat tomorrow!